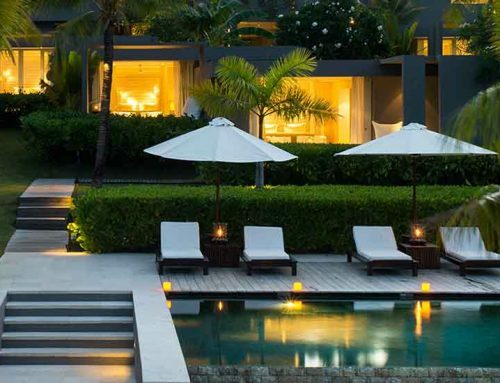 Opened in 2015 and designed by Gaurang Khemka the Alila Seminyak is one of the latest high-end hotel in Bali. Facing the beach the contemporary architecture is a symphony of lots of green plants, dark wood elements and pusitic white walls. 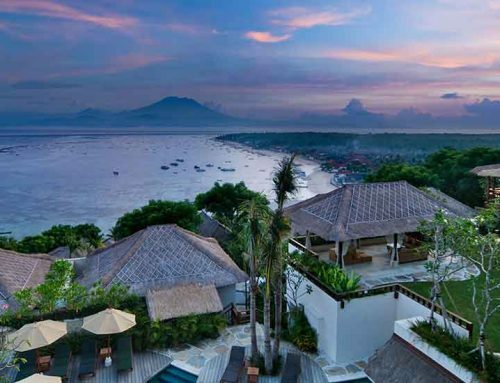 It has three pool areas and even a small Balinese temple. Surrounded by three main buildings, the temple looks like the Hinduistic heart of this resort. 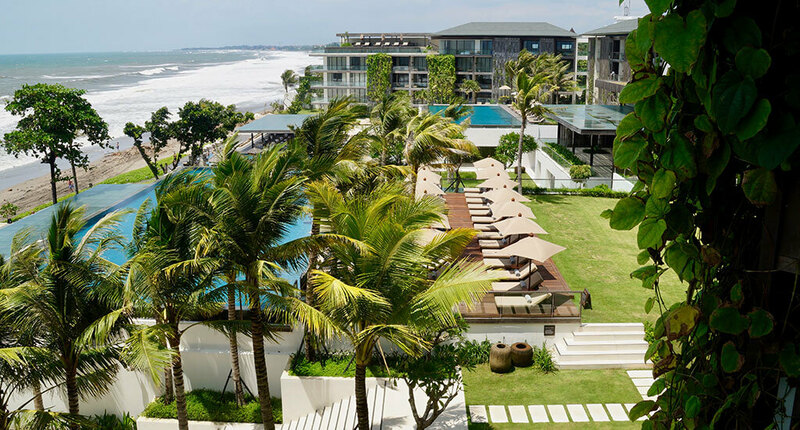 Offering 240 rooms, one outstanding Penthouse, a spa, gym, beach bar, coffee bar and a big restaurant, the Alila Seminyak is one of the big resorts in Bali. It consists of four buildings, each offering an unique experience. 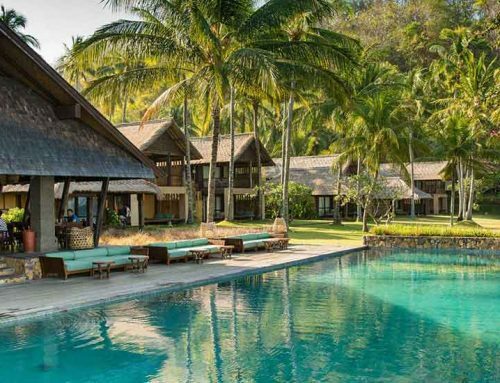 So for travelers really looking for a private and exclusive lifestyle, the resort might be too big. 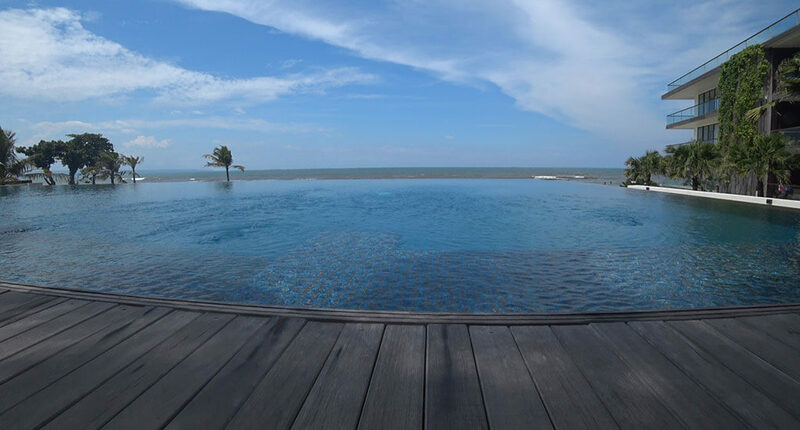 Despite of the size, splitting up the pool area into three areas provides a more exclusive pool environment. All suites provide exclusive design and offer Wifi, LCD TV, air condition, mini bar, coffee-/tea making facilities, hair dryer, bath amenities, in-room safe. 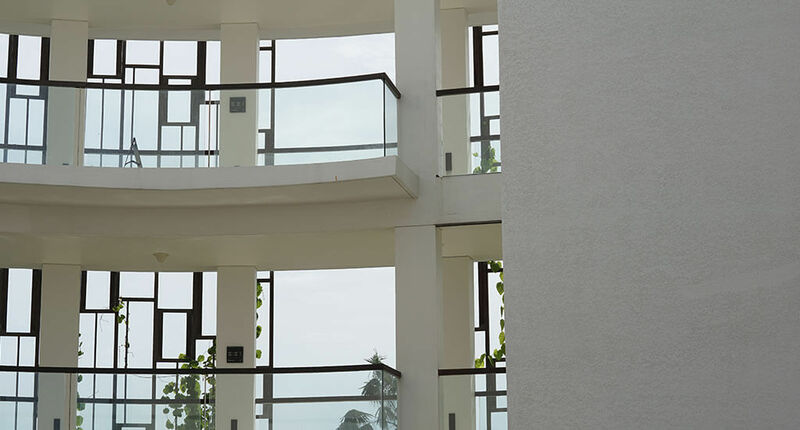 Seaview suites with own balcony and daybed are available. Really impressive is the huge lobby with its open architecture. 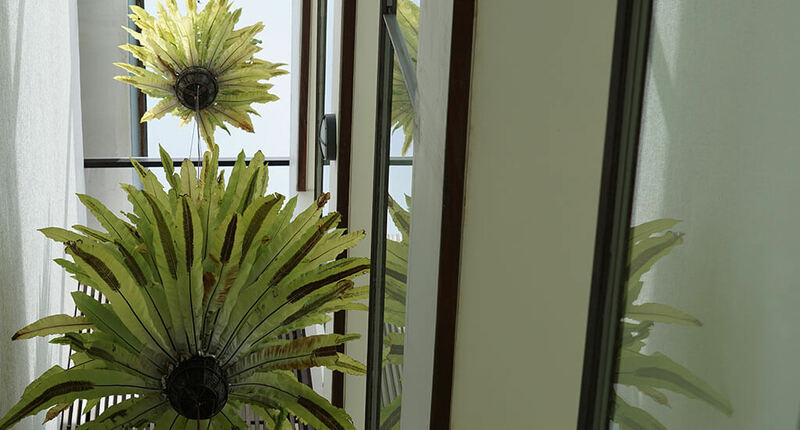 This means you get a great panorama view of the resort and beach area. What we really want to highlight is the outstanding brunch experience. The breakfast menu includes a wide range of international dishes for every taste. Besides a colorful buffet and European classics like homemade cranola and any style eggs, you get Indonesian signature dishes. 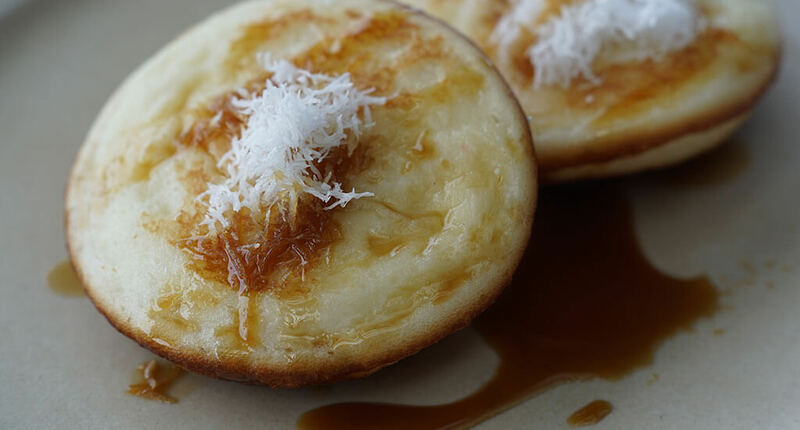 Nasi goreng, pandan pancakes, or delicious black rice pudding to mention just some of them. Moreover the restaurant offers a healthy menu including zucchini pad thai, nori rolls filled with red rice and vegetables or even raw brownies with cashew-vanilla cream, banana and berries. The food is really tasty and on top you get the beach view for free. 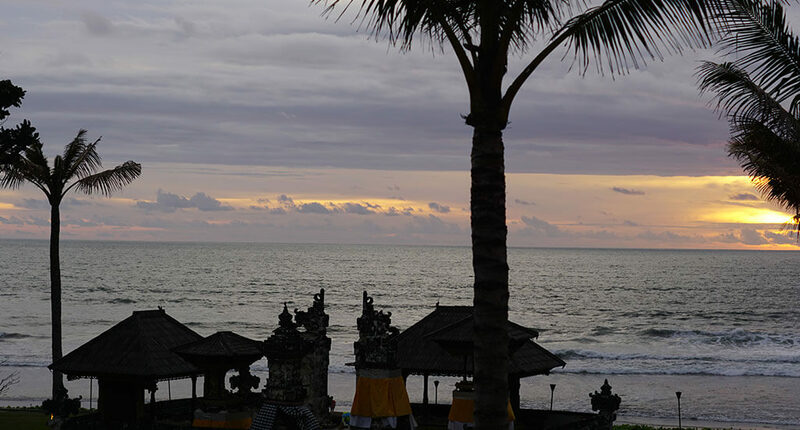 The location on the famous Legian Beach is very central. 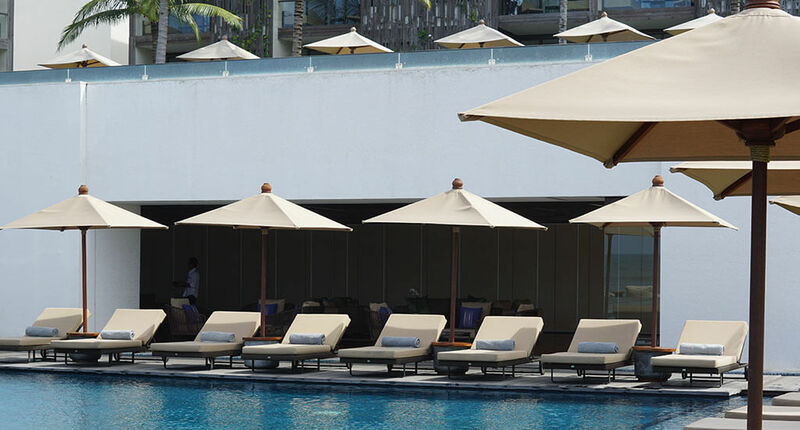 It’s located between the Potatoe Head Beach Club and The Legian Resort. 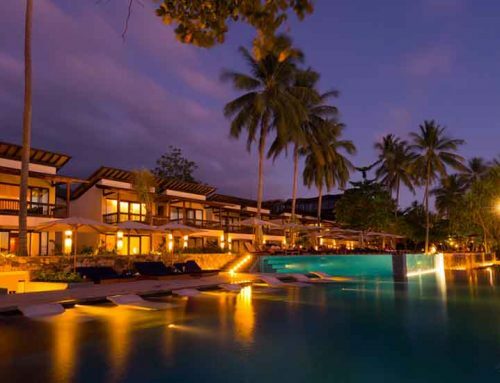 Although the Resort is awesome but Alila Conoisseurs shouldn’t expect the same love to details as experienced in other Alila Resorts.